Klunk appears courtesy of Last Stop… funniest restrooms in the galaxy! 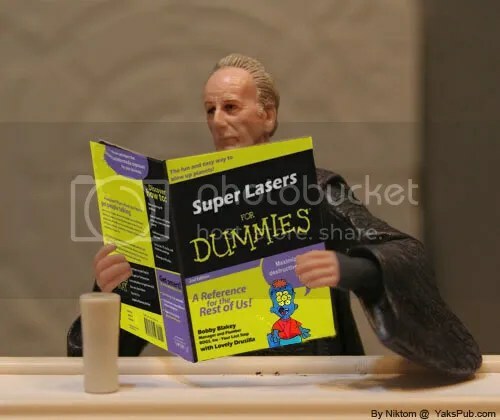 Followed the link to “Last Stop Comics” and saw that he had a link to a forthcoming store, which got me to thinking when is Yak’s Pub going to branch out into merchandising? There could be Yak’s Pub T-shirts, berets, tumblers, automobile air fresheners… Who wouldn’t want to be driving around town with a Yak’s Pub air freshener hanging from their rear view mirror? I am sure this audience could come up with a number of other excellent concept products! 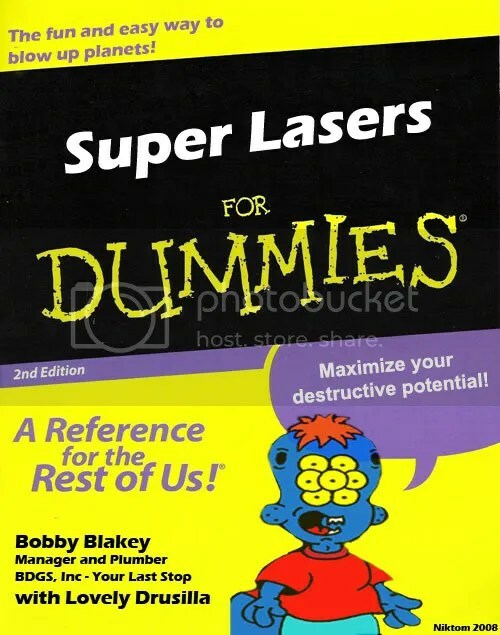 Leave it to the managers/plumbers to write the book on super laser. I would love to have some Yak’s Pub swag but for now have to be careful of the copyright thing. Would hate to catch too much attention from Lucasfilm right now. Trust me, if the day ever comes, you will be amazed at some of the stuff I’ve come up with. However, I do have some Trooper Heimlich posters being printed up for a convention… I just might have some to offer online. More about that soon enough!